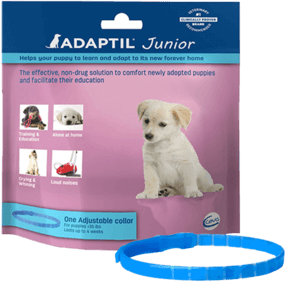 Puppy night time cage training was destined to be a nightmare until I learned about the ADAPTIL Junior calming collar. I put the collar on her before bedtime and it was a miracle! No more constant barking! Everyone in the house got a good night’s sleep from that night forward! I’ve told all my friends that have dogs with anxiety issues about ADAPTIL.